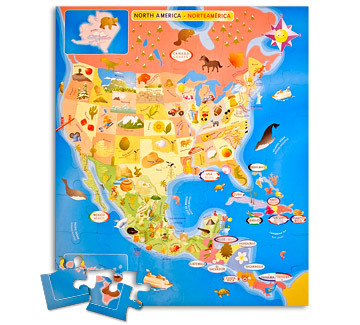 Children will love to play with this colorful & informative puzzle while gaining an early appreciation for geography. 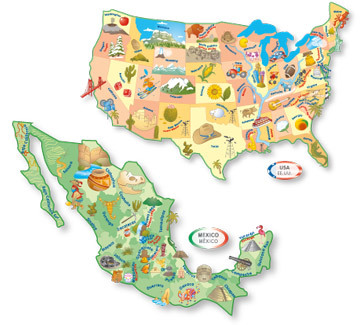 Includes illustrations of all 50 U.S states, 32 Mexican states and all other North American countries. 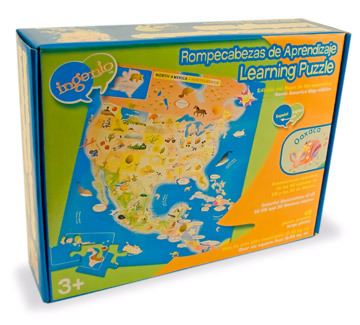 Learn country & state names in English & Spanish (if different). Over six square feet (0.55 sq. m) when fully assembled! 48 large & easy to grasp pieces. Durable and extra thick pieces store easily in the re-usable box.